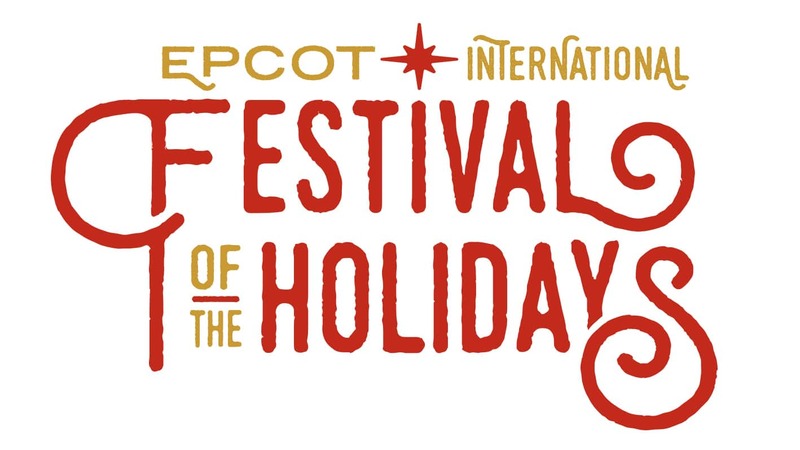 The Epcot International Festival of the Holidays (previously known as “Holidays Around the World”) will return to Epcot from November 19 through December 30. What can you expect this season? The return of the guest-favorite Candlelight Processional, new Holiday Kitchens, entertainment additions and more. First up, the Candlelight Processional, a highlight of a holiday visit for many guests, features a retelling of the traditional Christmas story by a celebrity narrator and music from a 50-piece orchestra and mass choir. This year the show will welcome a few new narrators to the season’s lineup, including Matt Bomer, CCH Pounder and Pat Sajak. Returning favorites Neil Patrick Harris, Whoopi Goldberg and Jaci Velasquez are also scheduled to appear. The Candlelight Processional is performed three times each evening, 5:00, 6:45 and 8:15 p.m. at America Gardens Theatre from Nov. 24-Dec. 30. Candlelight dinner packages can be reserved now by visiting Disneyworld.com/holiday. Guests can also enjoy entertainment throughout World Showcase, with each pavilion’s holiday traditions coming to life for guests through the sharing of joyful music and time-honored traditions.New this year is a fun, interactive musical group that interweaves the music of Hanukkah with jazz, rock and hip-hop influences! Returning favorites also include JOYFUL! A Gospel Celebration of the Season and Canadian Holiday Voyageurs. In addition to more entertainment, the park will also feature a total of 15 Holiday Kitchens this year, serving up more holiday cookies and other sweet seasonal treats than ever before. Stop into the Odyssey for snowflake sugar cookies and warm apple fritters with cinnamon ice cream, or head to the Canada pavilion for Maple Buche de Noel. (Stay tuned to the Disney Parks Blog for a closer look at this year’s offerings in the coming weeks). 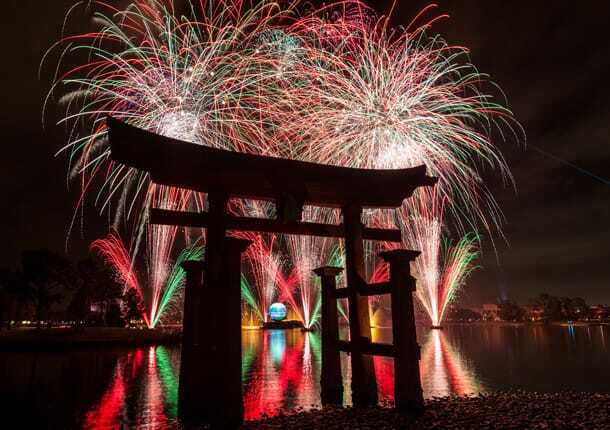 Guests can also finish their holiday visit at Epcot by watching “IllumiNations: Reflections of Earth” fireworks, which will feature a special holiday finale. 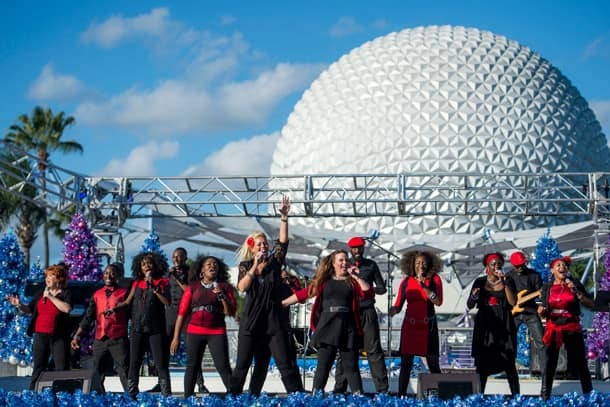 What are you looking forward to experiencing most this holiday season at Epcot? Tell us in the comments section below. I’m so glad for more festivals. We are going during Thanksgiving week just to see the holiday festival. Trying all the food and hearing the traditions of all the cultures is something we want our children to experience. They are super excited to hear the storytellers from each country. We are also going in Feb. for the Festival of Arts. Can’t wait for that either. 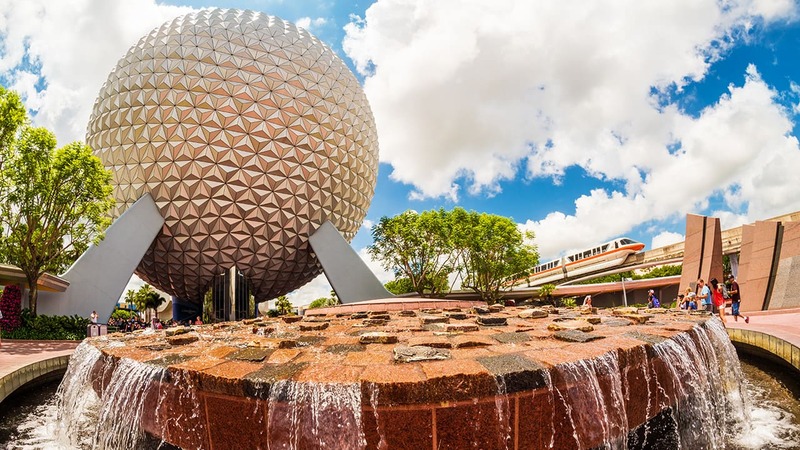 In fact, we plan our Disney trips around EPCOT festivals, so keep’em coming! I am waiting to see who is doing the narration on the 11th still. When might we hear who the last few TBD’s are? I’m sorry, but another “festival” at EPCOT? It seems like the park should just be called Epcot Festival Center. Holidays Around The World sounds so much better and a lot less like the just more of the same old. Don’t get me wrong I LOVE Food and Wine and Flower and Garden, but does marketing need to rename Christmas to match? Does this mean Mostly Kosher won’t return to California’s Festival of Holidays? Because they were the very best part to me of the whole festival. I am so excited!! There is just something extra special about EPCOT during the holidays! Do you know when the final narrators will be announced for Candlelight Processional, and do you have an ETA as to when we’ll be able to book Ale & Compass as part of the Candlelight dining package? Sweet new name sounds exciting can’t wait to see what Steven’s post on new merchandise will be ?